Vikas is a global technology leader with more than 25 years of experience across full software development life cycle phases encompassing consulting, GTM , product management, and development. Previously, he worked at SAP and was instrumental in MDG development, GTM and running data management solutions within HANA. At Utopia, his primary areas of focus include: driving product strategy; product management; architecture; and development which includes establishing SAP support, innovation, QA, documentation, and infrastructure management teams to design, develop, and deliver customer-centric data management solutions. 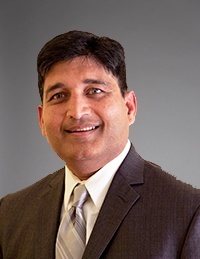 As Vice President of Research & Development, Vikas has delivered Utopia products within Asset Management and Retail industries for Master Data Governance on ECC and S/4 as SAP solution extensions. Most recently, he developed Asset Information Workbench, a data stewardship application that manages structured and unstructured data. Vikas continues to be a sought-after data management advisor across global 1000 SAP customers. Since 2007, he has also been a speaker at SAP TechEd/Sapphire and a host for several workshops on data management and governance.